Valid on a minimum order value of Rs.500. Save more with Grofers! We give you the lowest prices on all your grocery needs. 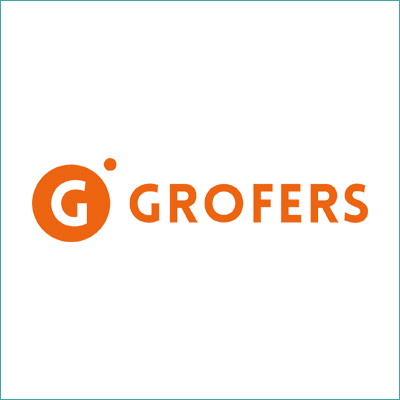 Grofers is a low-price online supermarket that gets products across categories like grocery, fruits & vegetables, beauty & wellness, household care, baby care, pet care and meats & seafood delivered to your doorstep. Choose from over 5,000 products at prices lower than supermarkets every day! Schedule delivery as per your convenience. 1. With this deal, you will get 25% cashback (Maximum Rs.300) on your 1st order. 2. Valid at Grofers Website, App & M-site. 4. The minimum order value should be Rs.500. 5. The voucher is only valid for new users. 6. The cashback will be credited to your Grofers account. Visit the Grofers Website, App or M-site to redeem the offer.